Abel is trained through PSG/Inter-1. 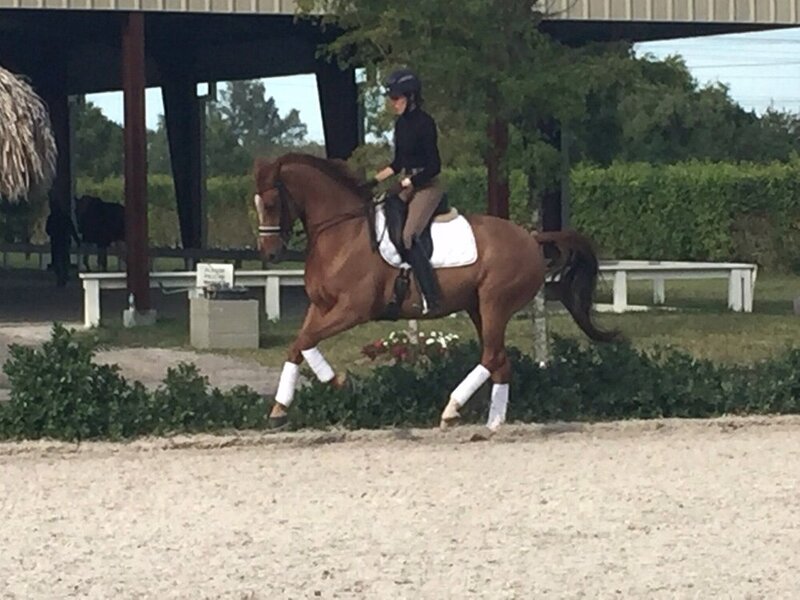 He also does Tempi changes through one's and is working on his piaffe passage. He is very strait forward to ride, easy to sit and is lots of fun to work with. Abel has a great work ethic and lots of go without being over powering or too strong. He loves to work everyday and is a character in the barn. He loves his people. Goes in turnout, lunges, clips ect. Ideal Jr or Adult Amateur horse.